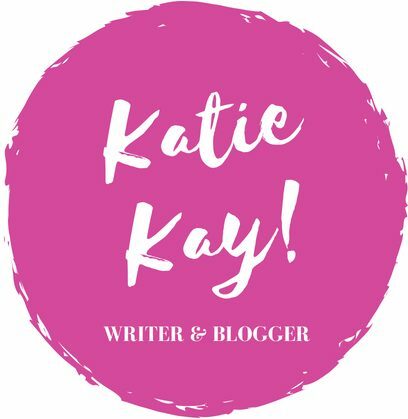 A WHIRLWIND OF A WEEK – Katie Kay! The past few weeks have been a whirlwind, and I almost (ALMOST!) forgot about my weekly blog post. That being said, I’m back in the game and ready to share some thoughts that have been nagging at me in the past week. After escaping the Woolsey Fire in Southern California, I flew home to Tennessee this past Sunday afternoon. I am thankful to be home, to relax and regain peace in my life, and to take some days to recover from the stress of this gnarly November. Though I am quite cryptic in nature, I want to be honest with you all and go over the things that are tearing me up right now, even though I know I am safe and loved and cared for. So here we go… In chronological order. Who knew one person could have such an effect on you? Not to be too cryptic on this front, but if there’s one thing I’m learning, it’s that just one person can change how you really feel, both in the best of ways and the worst. While I try not to be too analytical, I can’t help but regret certain actions and revel in them at the same time. On the evening of Wednesday, November 7, thirteen people lost their lives at Borderline Bar & Grill in Thousand Oaks, California. One of these thirteen souls was Alaina Housley, an eighteen-year-old freshman from my university, Pepperdine. It was a senseless act of violence that shook the entire United States, and it destroyed the peaceful atmosphere of Pepperdine. My freshman year, I went to Borderline countless times with friends, because it is primarily a line dancing club. It was a place to bond with friends, attempt to boot scooting’ boogie without the professionals stomping all over you, and get a little country music through your veins. But now I cannot begin to imagine the pain and suffering of Alaina’s family and the other Pepperdine students who managed to flee with their lives intact. I cannot understand how a place like Borderline is not safe anymore, that college kids cannot even go enjoy dancing without the worry of violence seeping in. On Friday, November 9, I received an evacuation alert from Pepperdine due to the Woolsey Fire wreaking havoc upon the Santa Monica Mountains. The fire that had started near Westlake Village, close to the already-reeling Thousand Oaks, had jumped into our neck of the woods. Only thirty minutes after receiving this alert, I stumbled outside with a backpack and my flight bag to discover smoke rolling over the mountains. Terrified, I hurried to my car with two friends and fled to San Diego, while most of my friends remained on campus. Fortunately, Pepperdine was the safest place to be in Malibu, and though the flames would make it onto campus that night, it was the miraculous effort of firefighters who saved the school and protected all those college kids in the process. Though the fire was nothing less than alarming, putrid smoke followed its path, leaving those who stayed in paper masks. The following morning, Saturday, November 10, the rest of my friends got out as quickly as they could because the air quality was so poor. Eventually, I was reunited with some of them in the safety of my friend’s San Diego home. On the morning of Sunday, November 11, we received another alert that school was canceled until November 26. Five minutes later I booked a flight and was home to Tennessee by midnight. The status of the fire now is on the upswing. The last time I heard, the Woolsey Fire is 60% contained and will be fully extinguished soon. Though hundreds of homes burned down and two lives were lost to this specific fire, there is much to be thankful for, especially the way the community pulled together to save the thousands who lived in the areas affected by the fire. Woolsey Fire near Pepperdine University (November 9, 2018) This still feels unreal. While most of my friends remained on Pepperdine’s campus that first day of the fire, I went to my friend’s house in San Diego, where we watched a special nature show, Earth’s Natural Wonders (not the typical college kid flick, that’s for sure), ate a lot of delicious food, went to church, and played cards. It was relaxing and a lasting memory. When we reconnected with our other friends, we felt even tighter as a group. That being said, we received the phone call from school that Sunday, and suddenly we were all packed up and headed five directions. What was a moment of us being all together completely fractured. I think I am able to understand my feelings of confusion and stress now that I’ve been home five days: I am growing up, and it hurts just as much as it excites me. I will be graduating college in a year, and then the real world’s going to knock on the door. My friends will be split up around the country, permanently, even though I know they will always be a phone call away. College will become a distant memory, and I’ll be responsible for my future. Who knows what will come then, but the worry has been sinking its teeth into my brain for a little while now. I haven’t been writing as much, considering the circumstances, and therefore this post feels long overdue. This is a sentiment everyone goes through, if you get the fortunate chance. It’s not something we should complain about, since so many don’t get to walk in our shoes, but there are still ups and downs with this thing called life. Sometimes we can’t control our emotions, our feelings, what drives our souls, and that can be overwhelming. That’s when I take a step back, pray to God, and try my hardest to clear my head. It doesn’t always work, so I’ve been doing all sorts of things: Exercise, working on a new book, listening to music (check out “Freelance” by Toro y Moi). And I know that it will be hard to leave home when it’s time to go. That’s where I’m at now: Torn between two worlds, one of which will inevitably win over the other. Mammoth Lakes (October 2018) I can’t believe this was already a month ago. On my trip to Yosemite National Park. I think this describes my mood right about now: I’m split over my future, split over my present, split right down the middle. There’s so much going on in this world that my days are slipping like sand through my fingers, and this can be terrifying, not having a way to stop what’s coming. Though this may seem like a melodramatic post, I know things are looking up. From being home I am reunited with my one-of-a-kind family, hometown best friends, and overweight guinea pig. I get amazing work done here, including 800 questions for my written pilot exam and thousands of words for a new romance novel. Being home reminds me of who I am, truly, deeply in my core; it reminds me of what I was and how far I’ve come. It inspires me to stay true to my values, and not to wrap myself in the what-ifs of my life in California. Home. A place some never get the chance to see again. I pray for the family of Alaina Housley and the countless people who were displaced, injured, and lost their homes due to the Woolsey Fire. I cannot begin to imagine the severity of the Camp Fire in Northern California, where so many have lost their lives and livelihoods. Therefore, it is times like these that should remind us all of the good things that we take for granted. I need to do a better job of remembering, because memory lasts with us much longer than the present. HOME! Fayette County, TN (Summer 2018) At this time of the year, the leaves are in full-blown glory: Crimson, vermillion, butter yellow, the whole nine yards. Those fires are so devastating. 😦 I’m glad you’re safe. You have been through some major traumas and even the ones you were not directly involved in have created trauma for you, so it is good that you have gone home for at least a bit. I know my best friend lived in Paradise, CA, and she is a paraplegic. She and her caregiver had literally minutes to get out, and luckily he took a back road and so they got out safely, but she lost her home and all of her art for some 20 years. And the Woolsey and other fires have all been horribly traumatic as well, so I feel for all of you. Be kind to yourself and if you do not come back to California, you will find your place and begin again closer to home amidst the beauty there and the peacefulness. I wish you safety and despite everything, a good holiday to bring back something to your heart and spirit.